Mashed Potatoes - Shinkansen.com "Combini Watch"
Just add water and a flower to turn these colorful plastic pouches into stable flower vases. 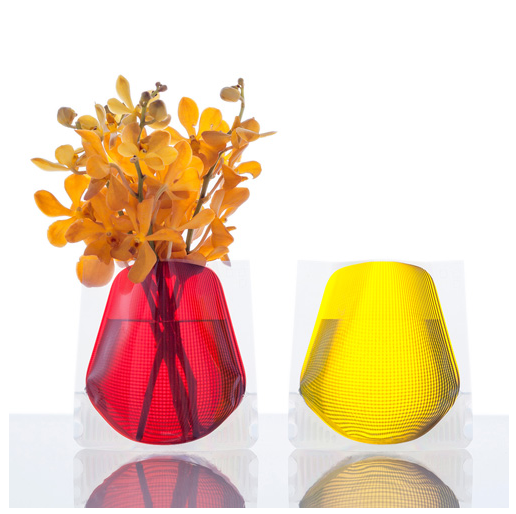 Coming in four bright colors (red, yellow, blue and green) with a subtle lattice-work pattern, these vinyl vases bring a vibrant sixties pop sensibility to flower arrangement. Following the success of Potato Cream, the mashed-potato specialty shop in Tokyo's Jiyugaoka, convenience stores and supermarkets are boarding the gourmet mashed potato train with products that look closer to desserts than side dishes. Lawson's mushroom and vegetable salad has a rich, 'shroomy gravy studded with pumpkin and broccoli over a layer of whipped potato cream. It may resemble an ice-cream sundae, but it's actually a dolled-up variant of the old British favorite, gravy and mash. 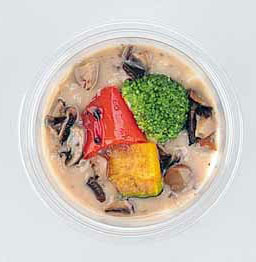 Other varieties include Thai green curry and Italian tomato sauce. It'll be interesting to see how long this trend lasts.